A special airing of the interfaith prayer service held October 23, 2007 in Bloomington with His Holiness the fourteenth Dalai Lama. Prayers from various faith traditions--Native American, Sikh, Baha'i, Unitarian Universalist, Islam, Christian, Hindu, and Jewish--as well as musical selections, are performed. 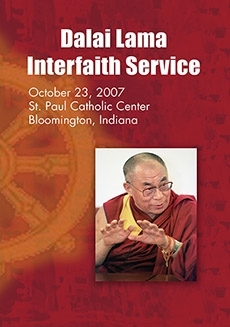 Remarks from His Holiness complete the program.